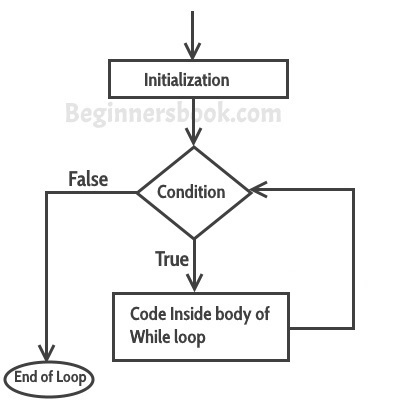 In while loop, condition is evaluated first and if it returns true then the statements inside while loop execute. When condition returns false, the control comes out of loop and jumps to the next statement after while loop. Note: The important point to note when using while loop is that we need to use increment or decrement statement inside while loop so that the loop variable gets changed on each iteration, and at some point condition returns false. This way we can end the execution of while loop otherwise the loop would execute indefinitely.